Monday greetings, human. Another great day at work instead of taking pictures of birds. I heard the migratory songbird fallout was quite nice around the St. Louis area today. Good thing I was at work. One or two days a week being able to do what I want just doesn’t seem to be enough anymore. I will have a week’s vacation coming up next month, but that seems a long way off. 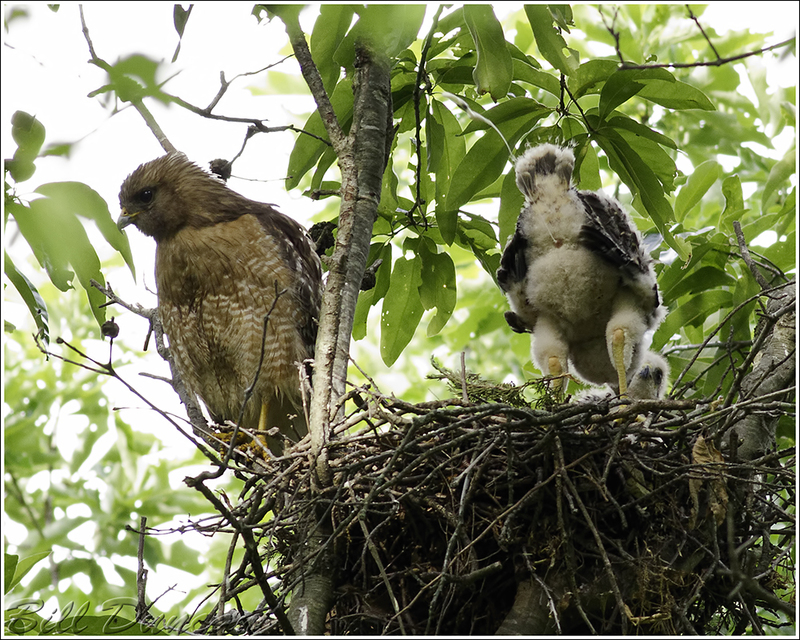 Anyway, I’m finally getting around to processing some photos of the Red-shouldered Hawk nest I photographed over several weeks this past May. Here, this little one is showing off one of those innate behaviors. I’m sure those of you with human babies wish they could do something like this a lot earlier than they do. Have a great week. Well that’s a one-in-a-million shot!